Garry Parsons has worked on a number of editorial commissions this year, including this artwork for Working Mother magazine. 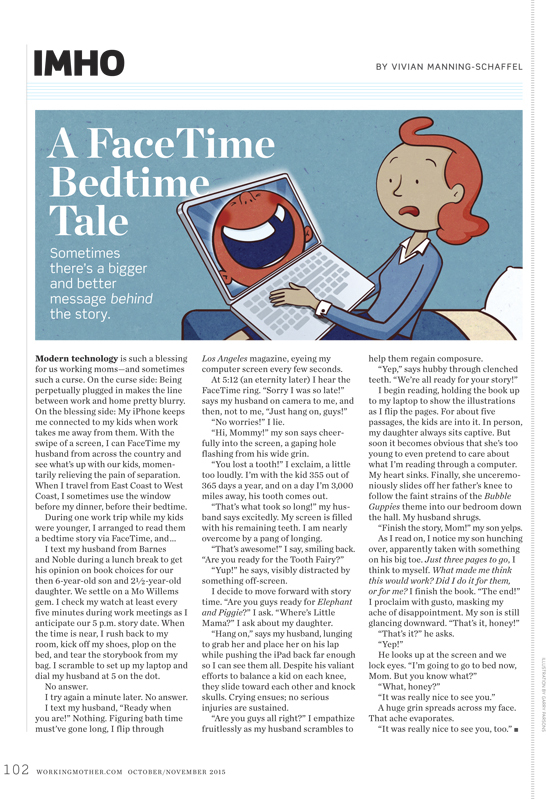 Garry illustrated the article which describes a mother using modern technology to keep in contact with her family during her busy working day. To see more of Garry’s work, click here. Garry Parsons is represented by Meiklejohn. Published on 17 November 2015.